One of the standout tracks on the new album, ‘All My Favorite People’ deals directly with the dichotomy. “I came out with it as I surveyed my own life and my whole family. Karin and I looked at each other one day, and one of us said ‘All my favorite people are broken.’ And we explored that. I worked on the song over the course of a couple of years, figuring out what’s trying to be revealed. In an industry where acts come and go with regularity, remaining a viable entity for two decades is a remarkable achievement. 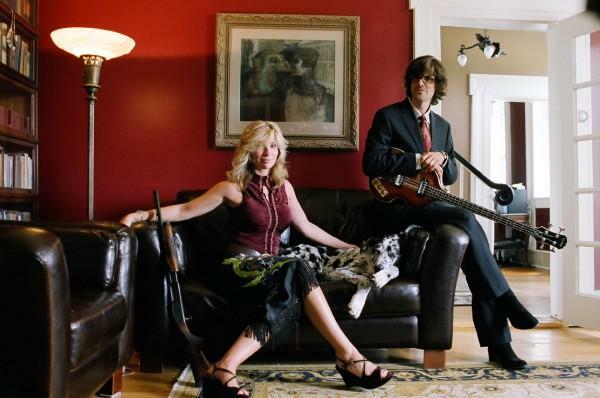 How has Over The Rhine endured? “Fortunately, we have people that have stuck with us from the very beginning. And along with that we have people that continue to discover the band every time we release a record. People are still finding out about us. That connection is largely responsible for The Long Surrender. “When we realized we were going to be making this record with Joe, we looked at different options for funding, and decided to go directly to our fans; to tell them about this opportunity and invite them to step in and fund this record and make it with us. They had takers at every level. “We had a little over 2,000 people participate. One couple in Austin, Texas pitched in ten grand. We’re going to go down there in the spring and play a show in their barn for them and their friends. We just had one taker at that level, but the important thing is we got the entire project paid for, and we got to treat it as a barn raising, or a community effort. 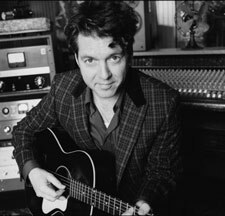 The choice of Joe Henry as producer was inspired. In addition to his own catalogue of stellar solo releases, over the last decade he’s become a producer of note, with Solomon Burke, Bettye LaVette, Aimee Mann, Mose Allison and others benefiting from his skills behind the board. The paring with Over The Rhine is a natural; Henry is willing to mix things up, creating a unique blend informed by what has come before while offering fresh takes on long-established artists. “We sent him all the demos and he had great feedback. He had this list; a couple of nudges here and there in a certain direction, but he put most of his work into carefully assembling the players for the record. Most of the hard work went to figuring out who needed to be in the room. He got an amazing group of players that really wanted to tune into what Karin was doing. And then he steps back and very gently orchestrates the proceedings. We were able to do what it is that we do; sit at the piano and play these songs with complete commitment and abandon. It was like leaning back into a great comfortable chair. We were effortlessly swept away, like we had been put on a train after dark; everything just started to move out of the room. It’s hard to explain, but it was embarrassingly easy to make the record,” he laughs. “We didn’t labor. We started on a Monday afternoon and wrapped up the following Friday afternoon. They co-wrote two songs with Henry. “When we showed up at the sessions, Karin had one song that we felt really belonged on the record musically, but she just had one word, and the word was ‘soon,’ and I think it was Thursday, we were almost done, she asked Joe if he’d want to take the shot at writing the words. When I spoke with Karin back in 2006, the couple was in the process of healing after a particularly rough patch in their marriage. They’re still together, and thankful. 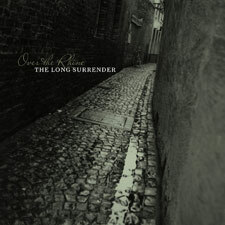 The new album’s title; The Long Surrender, speaks to the realization that life can be hard, and issues sometimes ongoing. “I think it’s universal. And when it comes to Karin and I, the biggest take away from that chapter was the fact that we had two things that we were nurturing simultaneously; a marriage and a songwriting partnership. And they both require a certain amount of creativity and care and commitment. We made the mistake when we were younger of thinking that if the songwriting is humming along, then we could put the marriage on hold indefinitely if we were on the road or whatever. Learning to balance both – taking care of both – on an ongoing basis is something that we continue to experiment with. But I’m extremely grateful that we’ve made it work. “Karin and I always had really good chemistry musically, and that was the first sort of connecting – music was what connected us initially, and then we realized that we were in love. And so I don’t know if they’re completely intertwined at this point, or if one could exist apart from the other. But let’s hope that we never have to figure all that out. He recalls a defining moment early on in their career. “We were getting a lot of letters, and I remember one day spreading eight or nine different letters out on a table, and it spanned a lot of human experience, beginning with: “I just wanted to let you know I fell in love and met my fiancée in college and this particular record was sort of our personal soundtrack for all of that.” That would be one letter. Then the next letter would be: “We were married last month, and we danced our first dance to this particular song on this particular record.” The next letter would be: “We took your records to the hospital; we were giving birth and they played them continuously, so you were there in spirit.” And I remember this letter from an old Irishman in particular, he had gone into the hospital to have surgery for cancer, and he took one of our records, and a couple of songs in particular that almost functioned as guardian angels for him, as he listened to this music in the hospital. And then the last letter was talking about burying a loved one, and a particular song the family had embraced as a mile marker for that season of loss.